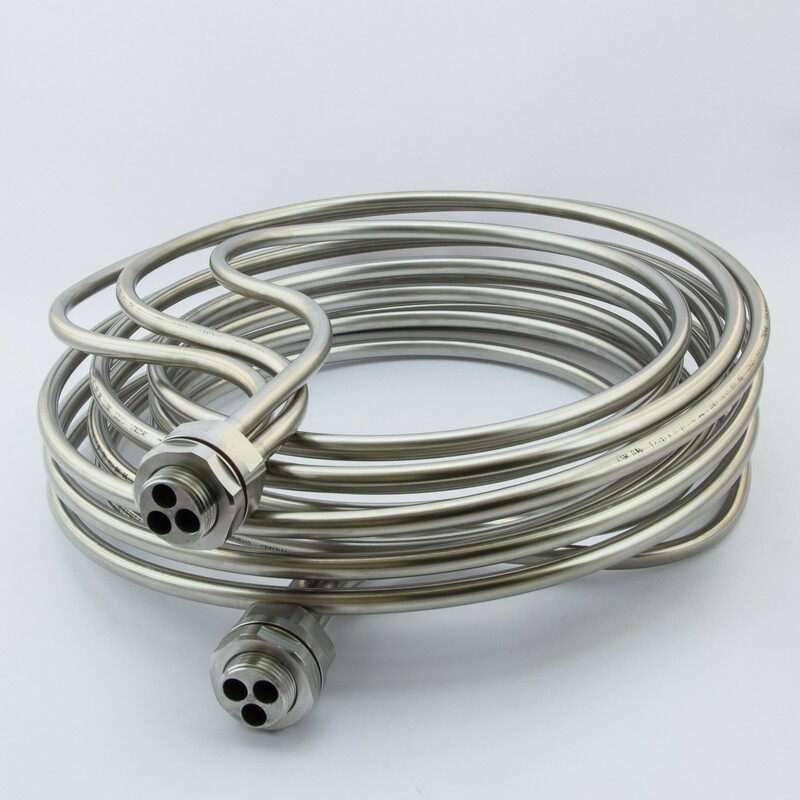 HERMS coil with 3 parallel tubes for extra high flow, ending in one fitting. 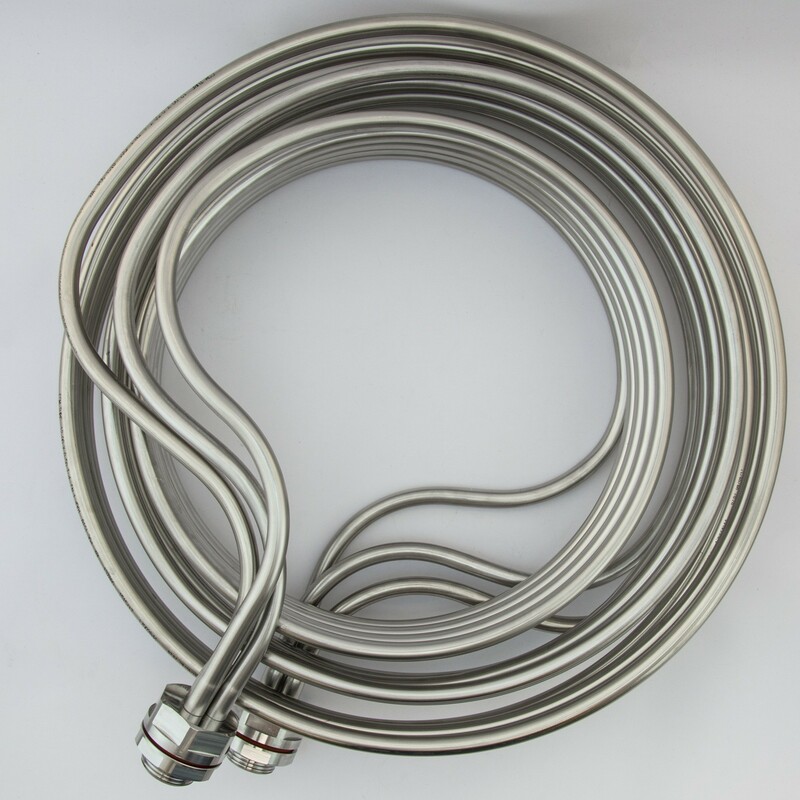 The outer coil is 4 loops of 40cm diameter. The inner loop is longer to balance the flow between the shortest and longest coil. 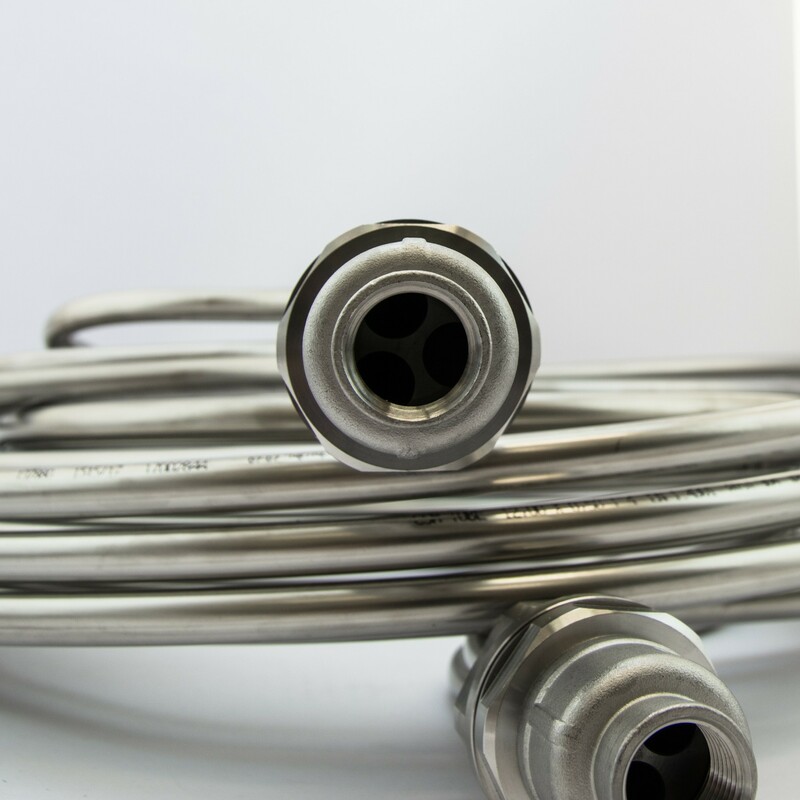 By having the coils inside each other, the hight of the total coil is much lower, without sacrificing length. 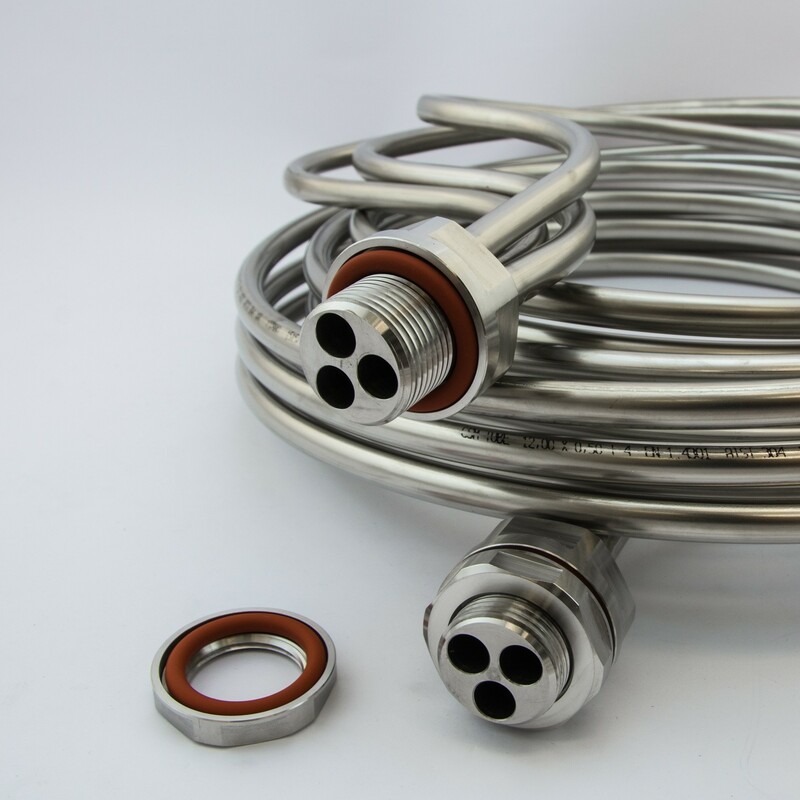 This means you can have less water in your HLT to submerge the coil. With less HLT water you can use a higher temperature difference between HLT and MT without overshooting. 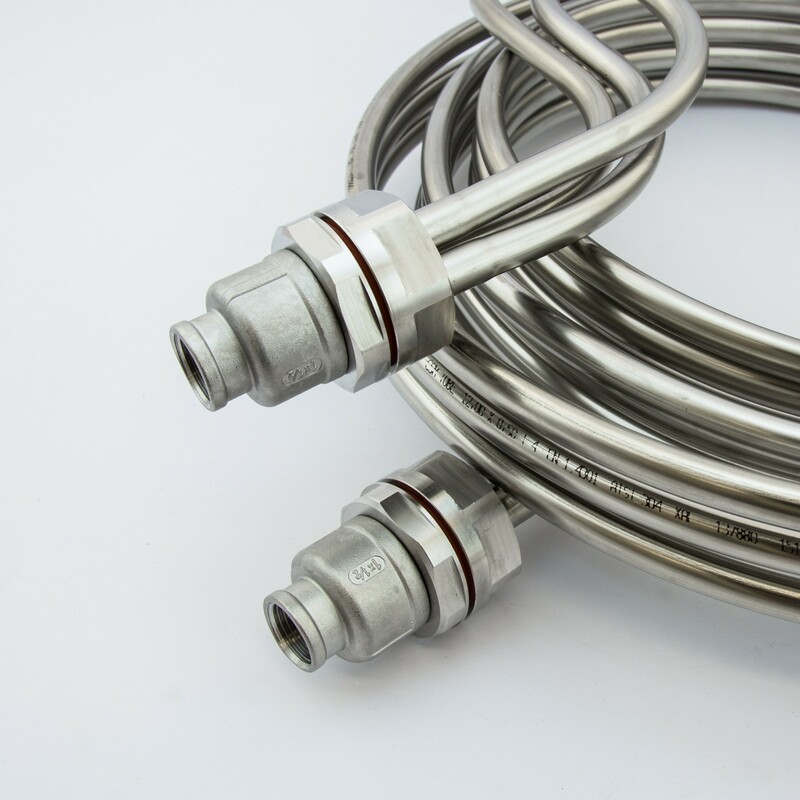 4 silicone O-rings are integrated into the fittings and locknuts and will be fully enclosed by stainless steel once mounted. Two reducers from 1" to 1/2" BSP are included.